Trey is a bookseller, just one of many Citizens aboard the floating city of New San Francisco. When his wife is abducted by the government, Trey mounts a rebellion to free her. But everything goes wrong, and Trey finds himself falling three thousand feet to Earth's surface. Arra is an elven archer in the forests of California. She is defending her village from a band of marauding humans when Trey falls from the sky, and she realizes that her life has been surrounded by lies. 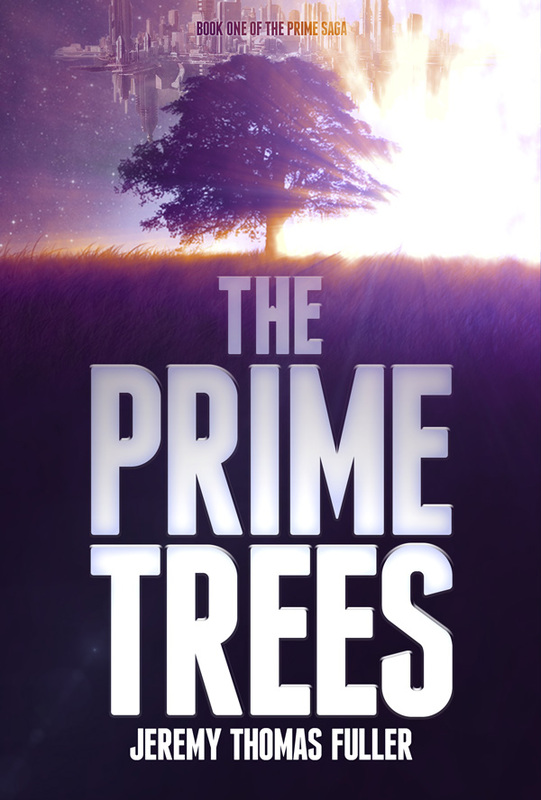 Now Trey and Arra must confront the secrets of the elves who built the sky cities and decimated humanity—because if they fail, the planet itself will be destroyed. EXCERPT This excerpt covers two chapters toward the beginning of Trey’s viewpoint. The streets were still busy as Trey made his way down Judah, heading toward downtown, carrying a hardcover book. He always carried a book with him—something about it made him feel safe. So he carried the book, just meandering without a destination, wanting to be out amongst the people and his thoughts. He’d heard some of the history of the city, back when it was just called San Francisco. Back when it wasn’t floating in the air. This neighborhood had been called Outer Sunset, once, and it had bordered a beach. An actual beach, with sand and salt water and seagulls and everything. These were things Trey had only read about. They no longer existed up here. Outer Sunset used to be a lazy neighborhood, he had read in books he wasn’t supposed to read. It had been full of families or couples, taking out their trash or going shopping or visiting Golden Gate Park with the tourists and the bicyclists and the joggers. There had once even been horses in the park, he had read, hundreds and hundreds of years ago. Mythical beasts, horses. It had all been so different back then. Golden Gate Park no longer existed. Up here, trees were very difficult to keep alive. There wasn’t really any soil up here. No real means of life. So everything was metal—metal and glass—and everyone was just a little bit unhappy. In the park’s place were condo buildings, endlessly tall, endlessly futile in their attempt to touch the stars. The rich lived there, or the politically important. The upper reaches of the buildings even had their own name: the Upper Apartments. Trey had heard that maybe the Monitors lived in them, the people who spied on everyone, keeping everyone in line. Sometimes he thought he saw one, dressed all in black, fist raised to the sky. He had never much wanted to live high up inside a narrow building, surrounded by halls and walls and furniture made of chrome. He had always preferred a simpler life. A wooden house, a wife, furniture you could really sit in. Maybe a dog. They had those up here, at least. Dogs. He came back to himself as he neared 40th Street. There was some kind of altercation happening up ahead. He could hear raised voices, shouts of alarm. People were milling about, filling the sidewalks. He kept walking. There was rice on the ground, he noticed. That seemed odd. A great big patch of it, as if someone had dropped their entire lunch. It trailed off down the cement, almost like breadcrumbs forming a trail. He’d read about that somewhere, in a fairy tale. Breadcrumbs, leading off into a dark woods. The story hadn’t ended well. He pushed his way through the crowd and found himself next to a tall, spindly man with dreadlocks and a wide nose. The man was wearing a torn flannel shirt, two pairs of pants, and worn-out leather shoes that looked like they’d been born before the world died. He was a vagrant, obviously—a homeless, maybe a framer. The homeless didn’t show their faces very often up here on the city topside. Usually they stayed down below, in the city Framework, in the places that made everything tick. The man was yelling at everyone and no one, just yelling out for all the world to hear. His voice was gravelly, and a little bit slurred. But despite all of that, the man had surprisingly good diction. Trey found himself drawn in. Trey sidled up beside the man, preparing to pass him on the street. Everyone else was giving him a wide berth. Trey got a glimpse of the man’s eyes as he passed. They were dark brown, almost wild. There was something feral about the man. Trey found himself cringing away. Trey didn’t know who the man was speaking to. He looked down, seeing rice still trailing along the street. This man’s meal—maybe his only meal of the day—was sitting there on the cooling pavement. “Dude didn’t ’pologize!” the man repeated. “Jus’ walk on by! Spare change?” His voice was cracking, now, and Trey realized he could see the man’s rib cage through his dirty shirt. He probably hadn’t eaten in a long time. Why was he up here at all? The Clean Up The Streets Act of 2220 was well known amongst the topsiders. It was the day Civil Service had been mandated for all vagrants, for all non-contributing members of society. That was the day all the homeless had retreated into the Framework. Anyone who didn’t was summarily picked off, taken by the DCS in their shiny white cars with the purple lights, taken to who-knows-where to perform their Civic Duty. They’d all been rounded up, just like that. Tent cities and cardboard cities and panhandlers and street musicians—gone. Trey had read about it, in another book he wasn’t supposed to read. It had all happened over a hundred years ago. But now here one was. An actual homeless. An actual framer. Not a kid, either, but an actual adult. Here he was, up on the streets, talking to no-one and everyone at once. Here he was hungry, alone, without a place to call his home, and Trey felt something twisting in his heart. He felt terrible for the poor man. He wanted to help. “I’ll buy you more food,” Trey said. The man stopped, turning wild eyes towards him. Trey cleared his throat. Too late to stop now. “I’ll buy you more food,” he said, louder this time. People around him were shying away. Trey looked around, trying to figure out where he could buy rice. There was a shop just there, conveniently right beside him. A place called De la Couer. French. A dead language, from a country long gone. Some people in the city still liked to pretend they were descended from the French, or the Italians, or the Jews—whatever ethnicity they could remember. But those people were just hanging on to a fantasy. The Earth was gone, now—eaten up by the virus. None of their former countries existed anymore. Trey pushed inside the shop, beckoning for the framer man to follow. Every store in New San Francisco served the same things. Rice, sure, and also salmon and turkey, maybe some chicken and if you were really lucky, steak. All the food came from the Synthesizers, the great machines in Government Central that fed the city. You couldn’t grow food up here, see. It wasn’t easy without soil. He bought a rice bowl for the man, adding some chicken to it, parting with seven comps. Dollars, some people called them, but that wasn’t their name. That Department was one of many, one of hundreds that kept the city alive. The Department of Monetary Compensation. He handed the rice bowl to the poor homeless guy and they both went out into the street. Trey started to leave—he’d done his good deed for the day. Now he just wanted a synthbeer and maybe some fish and chips and a good book. The book he was carrying. He looked down at it, distracted, admiring its gilt gold lettering and the thick cardboard of its spine. Not many books were made like this, even back before the virus hit. This was a rare find, a truly great treasure of fiction and fantasy. He set off down the street, heading toward his pub, when he heard a sharp whistle. He pulled up, turning to see what was the matter. The homeless man’s eyes shifted wildly back and forth, as if seeking a place to run. Without realizing why, Trey stepped forward toward the agent. It was a stupid move, but now he’d drawn the attention of the agent. There was no turning back. “Let him go,” Trey said, hearing the lack of fervor in his voice. He tried to strengthen his resolve. “He didn’t do anything wrong.” His voice cracked, and he felt a headache coming on. Not again. Trey could vouch for him. It would be easy. All he had to do was say the man worked for him, that he minded the books a few blocks away. That he was a character, sure, but what else would you expect from someone who stuck their nose in fantasy all the time? It was normal. The man was a contributing member of society. He almost did it. He opened his mouth, intending to say the words. But something struck against his mind, beating against the soft part of his brain. It was almost a block there, or maybe a wall. Something stopped him from telling a falsehood. Some strangeness crackling in his head. “I can’t prove his Citizenship,” he found himself saying to the DCS agent. “But you don’t have to do this.” He wanted to defend this poor homeless soul, however lamely he could. If he couldn’t lie, he would just have to convince the DCS. “Come with me,” the agent said to the man. “Come with me,” the agent repeated, firmer this time. Trey stepped closer. “Leave him alone,” he said, trying to make his voice sound threatening. He almost succeeded. In response, the agent pulled out a gun. It was the second gun Trey had seen that hour. It was maybe the second gun he had seen in his entire life. But something about it looked different. The gun was darker than the one before, and it shone with an eery kind of light. It was almost as if the metal surface of the weapon was alive. “Come with me, both of you,” the agent said. That’s when the homeless man started running. He didn’t know why, exactly. Maybe it was the gun. He felt fear rushing through him, contributing to the pain burgeoning inside his head. So he ran, following behind the homeless guy. Rice cascaded out of the man’s container, a new trail of breadcrumbs through the forest of buildings and chrome. Leading through the story that always ended in death. They ran back the way Trey had come, watching the street numbers go up. They ran toward what used to be the ocean. Toward the sand that no longer glittered under the San Francisco sky. They ran and ran, and the DCS agent pursued. He didn’t shoot them, but he was joined by several other agents. Soon there were five of them running after the pair, and Trey was already getting winded. He was really out of shape. The sun was right in his eyes as they ran, shimmering along the horizon of the city, sending rays of pain into Trey’s mind. He considered running sideways, ducking into a street at right angles to their current path. If they kept this up, they’d eventually run out of room—and then what? Fall to their deaths? There was nowhere else to go but down. Something kept him going anyway. Maybe it was the trail of effervescent rice, glowing orange in the setting sun. This homeless guy was fast. Eventually, of course, they reached the Edge. It was 48th Street, then La Playa, then the New Great Highway that led around the western edge of the city. That was the boundary—that was the end. Here the road disintegrated, turning into shards of metal and cement, shooting out from the Edge of the city like the spines of a mythical puffer fish. They jutted out hundreds of feet beyond the outer rim, sharp edges contrasting harshly with the strangely blurry ground far below. The homeless guy just kept on running. But the man still ran, his footing in those ancient shoes somehow effortless over the slick metal surfaces of the Edge. This, here, was a place nobody went. And there was a very good reason. Trey dared a glance behind. Now there were eight DCS agents after them, and four of them had guns. They were red in the face, puffing after running so far. One of them pointed his gun at Trey, and he ducked instinctively. Still, no bullets came. Trey froze, unsure what to do. He looked up. The city was complicated here, turning into girders and rafters along with the shards of steel that jutted out into the air. There was a sort of Framework up above in this part, a complex set of beams and things that doubtless held up critical systems. Nobody was ever out here. Nobody but the Framework repairmen. Trey looked up and down, amazed at the complex series of shapes and lines. It must have been a lot of work to build all this. But nobody ever went out here. The homeless man was ahead, running out on one of the steel piers. Trey followed him a few feet, then stopped, suddenly afraid. He could actually see the Shield from here, see it shimmering in the air. He imagined it humming, imagined what it would be like to pass through it into the air beyond. Into a world consumed by death. The Shield was the only thing that kept the virus out. It was the only thing keeping them alive. Most of mankind had been wiped out during the Sundering three hundred years ago, by a manmade virus that had ravaged the planet. Only the ones who had made it here, inside the aerial city of New San Francisco, inside the place the Planners had had the foresight to create—only here had safety. This was how Trey was alive. This was how mankind had survived. It wasn’t a perfect life, sure, but it was life. Out beyond the Shield, life ended. Trey was out on one of the steel beams, now, and he made the terrible mistake of looking down. He felt sickness roil up inside his stomach, felt his heart heaving in his chest. Three thousand feet was a long way down. He got giddy, lost his balance, almost fell right off the edge. He envisioned it, how it would feel, how the wind would rip through his hair as he torpedoed to the ground. The crunch and the blindness and the end. He envisioned death, and he almost fell. He wheeled his arms and managed to stay upright somehow. But the DCS agents had arrived, now, coming up behind Trey and leveling their guns at him and the homeless man. One of them grabbed Trey’s arms roughly, pulling them back behind and binding them with a plastic cord. It hurt, but not as much as the pain inside his head. Not as much as that vision of the ground. More agents pointed their guns at the homeless man, up ahead dancing on a ledge, still carrying his rice. Trey saw more of it spill off into the air, drifting haphazardly in the wind, falling three thousand feet to the deadly ground below. He imagined the virus eating up that rice, infecting it instantly, destroying what little life it held. He imagined that happening to him. The Shield was everything, and this man was so close to crossing through. He didn’t know. He didn’t know what Civil Service even was. But surely the virus was worse. “So hungry,” the man said from up ahead, and he gave a little salute, and he skipped backward a step. Trey felt ice flow across his skin as he watched what happened next. The homeless man—the man without a name—coughed, first. Just a simple cough. Then he cocked his head as if listening to something, holding the bowl of rice at a precarious angle. More of it flew into the air, grasped immediately by the wind. Then, to Trey’s horror, holes began appearing in the poor man’s skin. They sloughed over him, blackening the skin and ripping it away, revealing muscle and sinew and blood and bone. The man’s lips peeled back in a rictus, exposing blackened teeth and eye sockets. His eyelids were gone, and his nose. He had the look of a skeleton, now, a skeleton with huge white eyes. His mouth was open, his tongue fractured by the wind, the virus ripping through his body like a horrible chemical disease. Trey could hear the man laughing a hollow laugh, a laugh verging on a scream, the sound splintering away and out into the air beyond. Then the man’s eyes disappeared, eaten alive by the virus, and his fingers were gone, the rice dropping out of hands that shredded into nothing. Trey couldn’t move as the man’s entire body disintegrated, turning into black specks that rippled away like dust, like sand, like smoke, dead leaves. Trey shuddered. And just for one brief second, he thought he caught a glimpse of purple in the corner of his vision. He looked up, instinctively, and thought he saw a Monitor there, dressed in black, fist pointed at the sky. Then he, too, was gone. And Trey was alone with the Department of Civil Service.